Martin 00-18 1949 | SOLD | The C.F. Martin '00' series is a very popular guitar for many fingerpickers and acoustic blues players. Its size gives it a nice balance between the bass and treble tones, with plenty of rich mid-range. 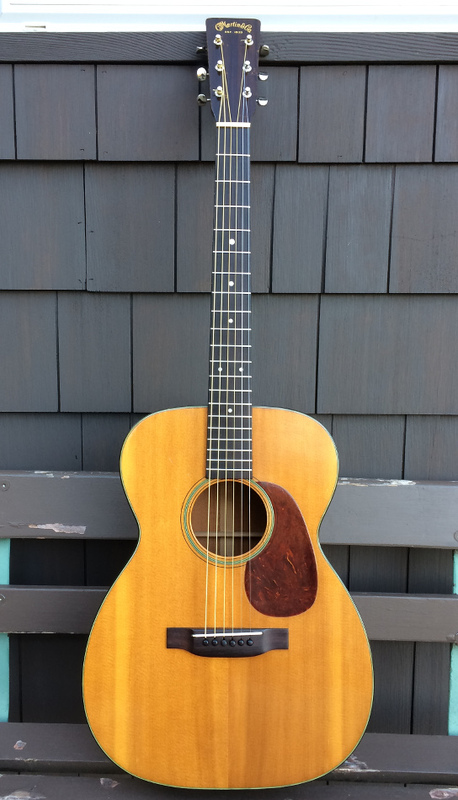 This guitar is a very clean example of a 00-18, made in Nazareth, PA in 1949. In fact, this guitar comes from its original owner in Bethlehem, which is a stones throw from the Martin factory in Nazareth. So essentially, this guitar has spent its existence just a few miles from its creation. This '49 00 is an original guitar, including tuners, bridge, finish, and even the case. 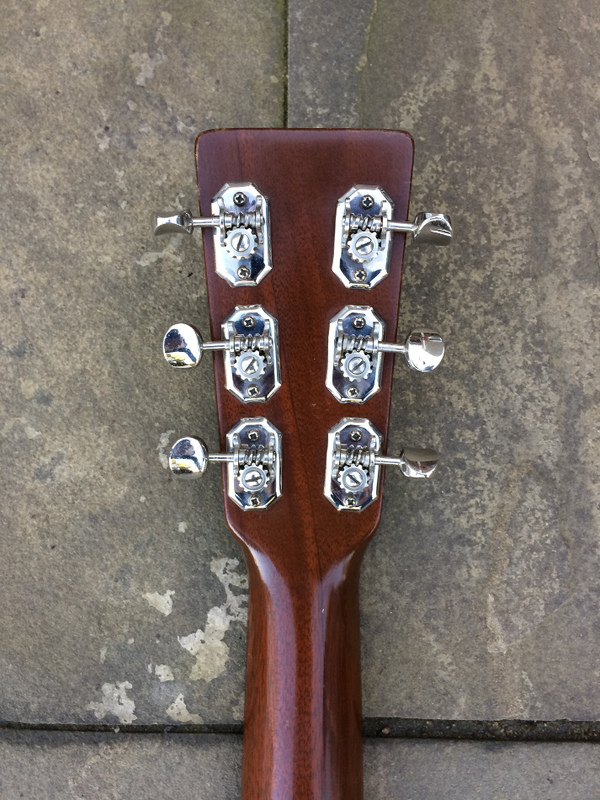 The neck, back and sides are mahogany, and the top is spruce. 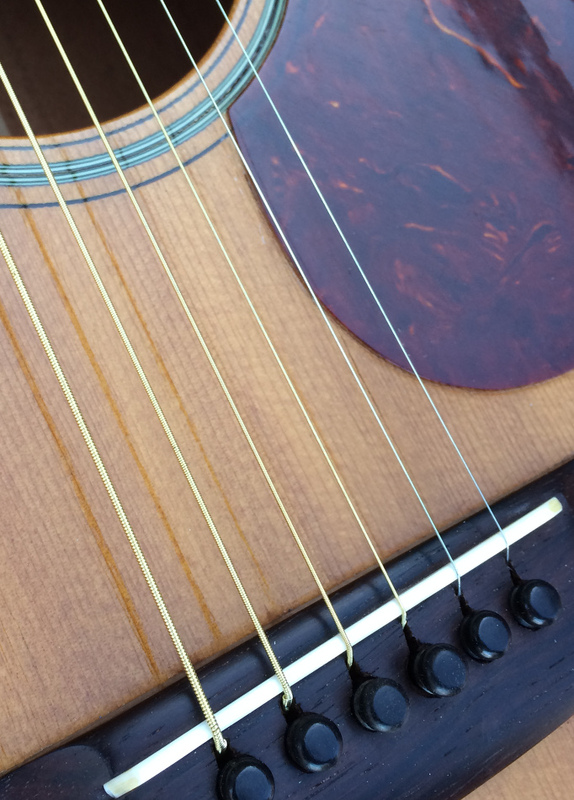 The fingerboard and bridge are Brazilian rosewood. Tuners, end pin and bridge pins are original to the guitar. The lacquer finish is original and in excellent condition, still shines like the day it left the Nazareth factory. 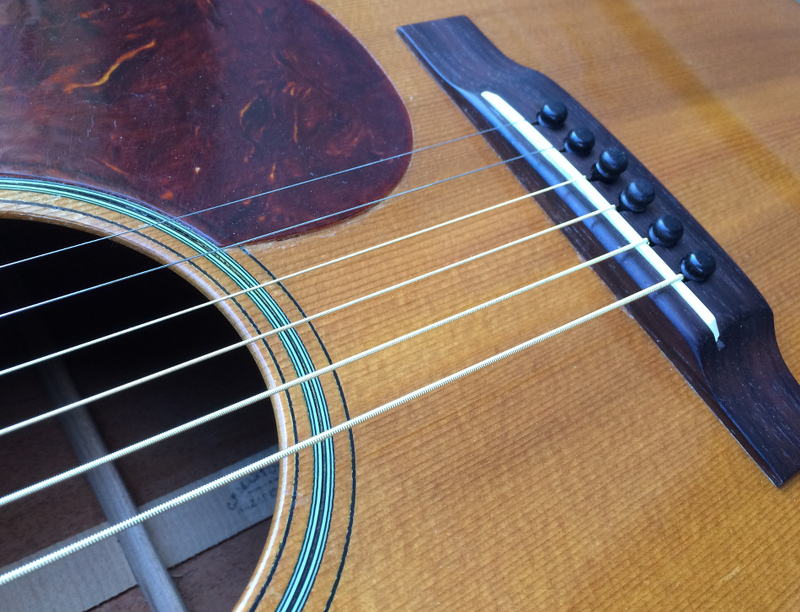 Recent repairs include a small pick guard shrinkage crack repair (typical). The guard was removed and reglued to release the shrinkage pressure on the top. The neck was reset, and frets leveled and dressed. Over all, the guitar sparkles, with some case 'brushburn' on the upper bout, treble side, and some scratching on the back likely from a belt buckle. The nut measures 1 11/16" and scale length is 25". The action is set at a comfortable 5-7/64", and the guitar plays smoothly. The tone is the best part: rich overtones, great sustain, cutting power and oomph ...overall, a worthy example of its type in spite of its noted lack of worldly travel in its 68 years. Comes with its original soft case, also in excellent condition.